Now being rolled out across the world is the network of SKF Solution Factory facilities, which provide local entry points for customers to gain access to core engineering technology and services that can improve the performance, efficiency and design of their machinery and equipment. SKF Solution Factory facilities, now being rolled out across the world, provide entry points for customers to tap into the considerable expertise and resources of the SKF Group’s core products and services, with the aim of giving customers easier access to products, technology and services that will help them improve the operation and performance of their machinery and equipment wherever they are in the world. 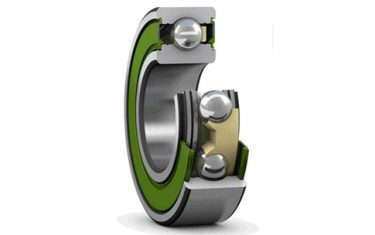 SKF Solution Factory gives customers access to the company’s five technology platforms: bearings, seals, lubrication, mechatronics and its entire service offerings. 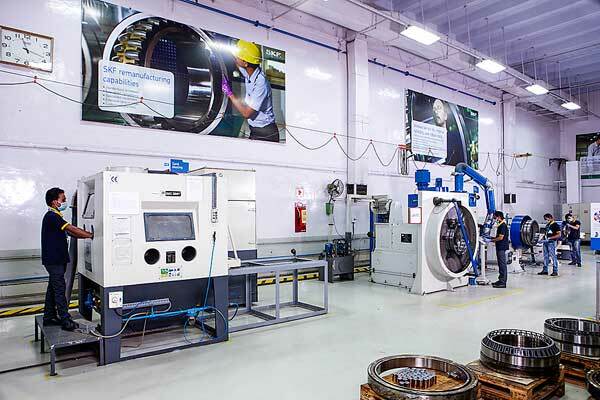 It is the delivery unit for SKF’s complete offering within the service platform, providing solutions as well as a range of condition monitoring equipment, supporting services, outsourced maintenance, customized products, remanufacturing services, training, asset reliability consulting and remote data hosting and analysis. 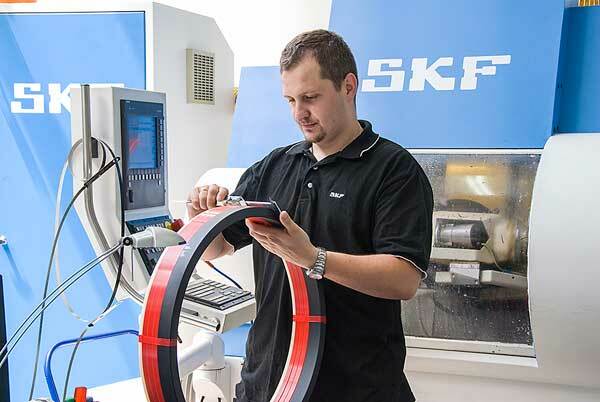 This global network of facilities is staffed by experts from every SKF discipline. The benefits for customers are customized solutions and services to optimize asset efficiency in their plants and machinery, making it more reliable, cost-effective, energy-efficient and safe. SKF Solution Factory is a place to take customers to experience SKF services and solutions in action. In today’s global industry environment, it is important to be physically close to customers and to be able to cut lead times and easily share SKF’s extensive knowledge from industry applications and rotating machinery on a local level. SKF Solution Factory sites are strategically placed so that customers have easy access and can gain direct value in having SKF’s competencies and core technologies in a single location. The entry for a customer into SKF Solution Factory is via the local or regional sales organization. By early 2014, SKF had established 27 SKF Solution Factory sites around the world including Brazil, China (Shanghai and Tianjin), France, Germany, India, Italy, South Africa, Sweden, Taiwan and the United States, and there is an ambitious programme of expansion in the coming years. 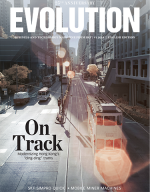 Customers are seeking a range of benefits that include improved reliability, reduced unplanned stops, increased uptime, reduced mainten­ance costs, lower environmental impact and energy use and, increasingly, competence development. SKF Solution Factory typically focuses on a particular industry or industries in a region and becomes a partner in services where SKF’s broad range of resources can be tapped. Where appropriate, SKF Solution Factory units will collaborate to serve a customer’s requirements. SKF’s Remote Monitoring Centres also form part of the SKF Solution Factory concept. For each project, a dedicated team is assembled and SKF project engineers work closely with the account manager and the customer to make sure the need, problem or challenge is identified, often through a root cause analysis. Identify the problem: An assembled team of engineers looks at the problem and does a root cause analysis. Design a solution: With clear and common understanding of the problem or need, engineers and technical experts work together to find the best solution using service and manufacturing expertise. Manage the delivery: SKF provides the customer with one key point of contact while delivering the solution. 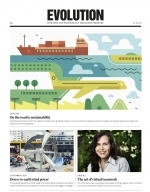 Finally, SKF proves the solution by monitoring its performance and validating the results. SKF has a process to certify strategic services, and this process is managed by an appointed Centre of Excellence, specialized on a service. This makes sure that highest quality is met in all procedures, including documentation, and also that adequate equipment and instrumentation is used in laboratories and workshops. In addition, SKF has developed an SKF Documented Solutions Programme, which calculates the return on investment of a particular SKF solution. SKF has an extensive and broad portfolio of services and related products to help customers increase the efficiency and reliability of an operation, and SKF Solution Factory has delivered effective solutions in a range of industries. Furthermore with capabilities to redesign, upgrade and manufacture close to where customers are, customers can save costs and extend the lifetime of equipment. This also benefits the environment, since long-distance shipping is avoided and resources are used more efficiently. In the automotive sector, for example, production machines are often subject to harsh treatment for long periods of time. Spindles, which are a key sub-system for the precision and productivity of machine tools, frequently need repairing. For machine tool spindles, the approach is to perform a thorough analysis of spindle damage, including identifying the root cause of the breakdown. By applying expertise in spindle design and ­bearing theory, SKF redesigns weak components, making them more durable. This is followed by a reconditioning of the spindle – including upgraded components or solutions – in accordance with best practice craftsmanship, using specially adapted tools. 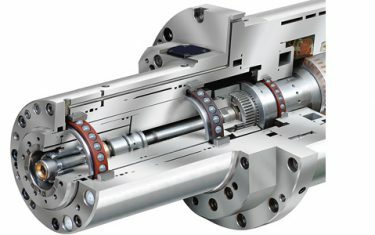 Spindle design is optimized to meet specific customer demands and reconditioned to the highest industry standards. 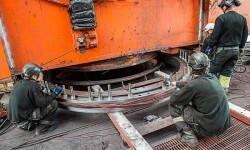 The overall cost of repair decreases and production losses are avoided. One example is a manufacturer of high-performance brake systems for sports and racing vehicles. Due to tough production demands, the company’s grinding spindles had a service life of just four to eight weeks. The customer carried out repairs in his own workshop. To understand the root cause of the problem, the local SKF Solution Factory started with a structured analysis. Based on the results, SKF developed a new, customized sealing system and adjusted the abutment parts according to SKF experience and specification. The upgraded design is far more reliable and is still in operation after two years. The customer experienced a significant increase in reliability, complemented by substantial cost savings. After more than 100 years of studying machine performance, SKF has developed a number of models. One is its Asset Efficiency Optimization model, which allows it to create a maintenance programme and solutions to meet a customer’s business objectives. In the food and beverage industry, for example, there is a continual need to improve plant efficiency and profitability while maximizing safety. Total costs need to be reduced by optimizing process and maintenance activities through a proactive maintenance culture. SKF can create and implement long-term asset management and machine reliability strategies through Integrated Maintenance Solutions. This includes plant assessment to identify improvement areas and establish key performance indicators, technology upgrades, equipment redesign and a proactive reliability programme. Staff members are also trained in the essentials of effective maintenance. A multi-site milk producer faced problems in maximizing productivity. The company was performing planned and reactive maintenance but still experienced many unplanned stops. 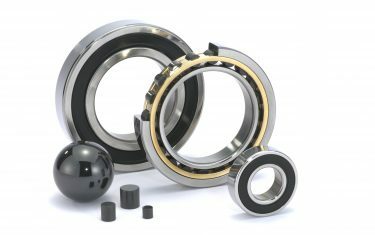 To address the problem, the company spent a great deal of time and money on bearings, seals, lubricants and condition monitoring services from multiple suppliers. 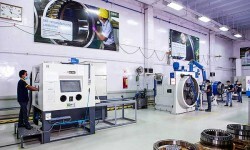 The benefits of the solution were a 300 % increase in mean time between failures in critical bearing applications, reduction of unplanned downtime, an 18 % decrease in oil consumption, a 27 % reduction in bearing and seals inventory and a 30 % reduction in consumption of bearings and seals in one plant alone, as well as the elimination of administrative costs related to the purchase of bearings, seals and lubricants. Condition monitoring has become an important tool in the operation and maintenance of equipment. SKF has developed condition monitoring solutions that can be integrated with management systems. These are particularly powerful for industries such as the marine and offshore industries, where component failure can be costly and repairs difficult to carry out. In the marine industry, for example, SKF can support ship operators with a customized condition-based maintenance programme – including hardware and software – that can be integrated with their fleet management systems. The condition-based programme can be adapted to each vessel and includes predefined templates for data collection and alarm levels. The local monitoring system can be remotely supported by SKF, and all communication with the customer’s management system can be handled when predefined levels are exceeded. For the end user, the benefit of such an approach is an integrated approach that does not require specialist competence in hardware or specially trained staff members. 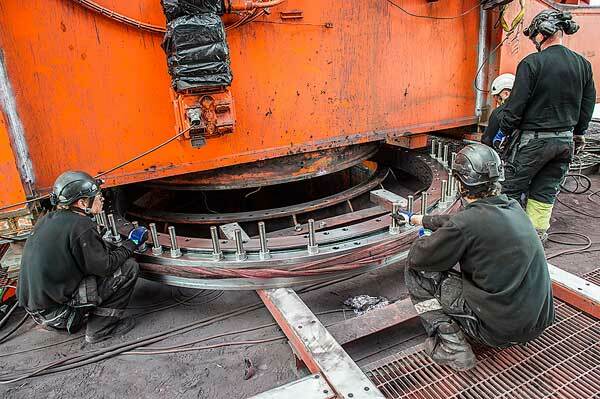 For one ship owner, SKF implemented a best-in-class condition monitoring system for rotating and reciprocating machinery, developing procedures to ensure that the customer’s engineers know how to manage their part of the condition monitoring system. SKF also developed the main engine and diesel generator performance monitoring system to work in conjunction with the customer’s existing systems. SKF currently manages the condition monitoring system and conducts remote diagnostics on a monthly basis for 49 vessels. SKF is now working with the customer to develop the next-generation condition monitoring system for a new fleet of vessels. average vibration level reduced by 15 %. SKF Solution Factory facilities are gateways to better support customers in what is a very competitive environment by making it easier to access SKF competencies and knowledge. As the network of such facilities grows worldwide and experience and knowledge are shared in the network, the ability to innovate and provide customized solutions at an even faster rate in the future will be a key competitive advantage for SKF and its customers.